Many people wonder what the key to success really is, and where to find it. Well, look no further than your own front pocket! Your favorite friend will go wherever you go, and keep a watchful eye on those keys you keep losing! 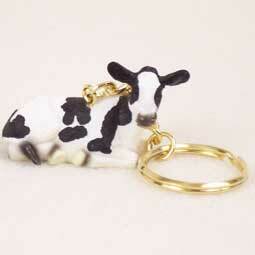 Made from stone resin and beautifully hand painted with a Gold Tone keychain, that we attach your favorite Tiny Ones Figurine. All items are individually packaged, ready to give as a gift, or hang in your store. Great item for that special someone for birthdays or any holiday.